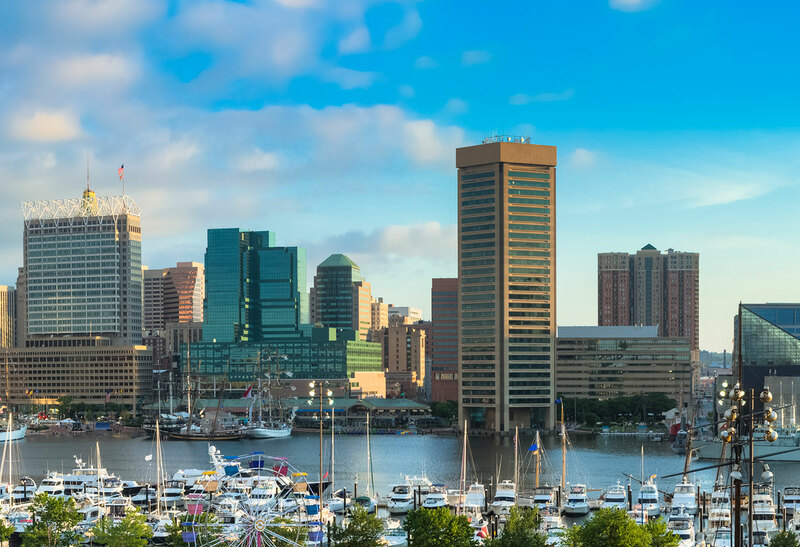 Since its founding in 1953, Gordon Feinblatt LLC has made a commitment to supporting the people of Maryland. Eugene Feinblatt, co-founder of the Firm, was a great contributor to the development of the State of Maryland and the City of Baltimore. Continuing this tradition, Gordon Feinblatt is committed to supporting the community in which we live and work. Our lawyers provide pro bono legal counsel to individuals and organizations of limited financial means. We work closely with a number of organizations, including the Public Justice Center, Maryland Volunteer Lawyers Service, The Community Law Center, The Legal Aid Bureau, The Women’s Law Center and Advocates for Children and Youth. The Firm accepts hundreds of pro bono cases annually, representing more than 1,300 hours of pro bono time. In addition, our attorneys and professionals offer their time and talent to participate on the boards of directors and committees of, and as volunteers for, more than 100 non-profit organizations, donating thousands of hours each year serving in these capacities. In recognition of Earth Day, the Firm participated in a community clean-up of Bear Creek Park and Shoreline on April 13, 2019. The event was led by a local nonprofit, Clean Bread and Cheese Creek Community Cleanups, in conjunction with American Rivers, Trash Free Maryland, National Public Lands Day and the Alliance for the Chesapeake Bay as part of their annual Project Clean Stream. Chris McMahan and his two children, Alex Montanio, and Ashley Rosenblatt collected trash and recyclables along the shore of Bear Creek in a historic park where both British and American troops set up positions during the War of 1812. 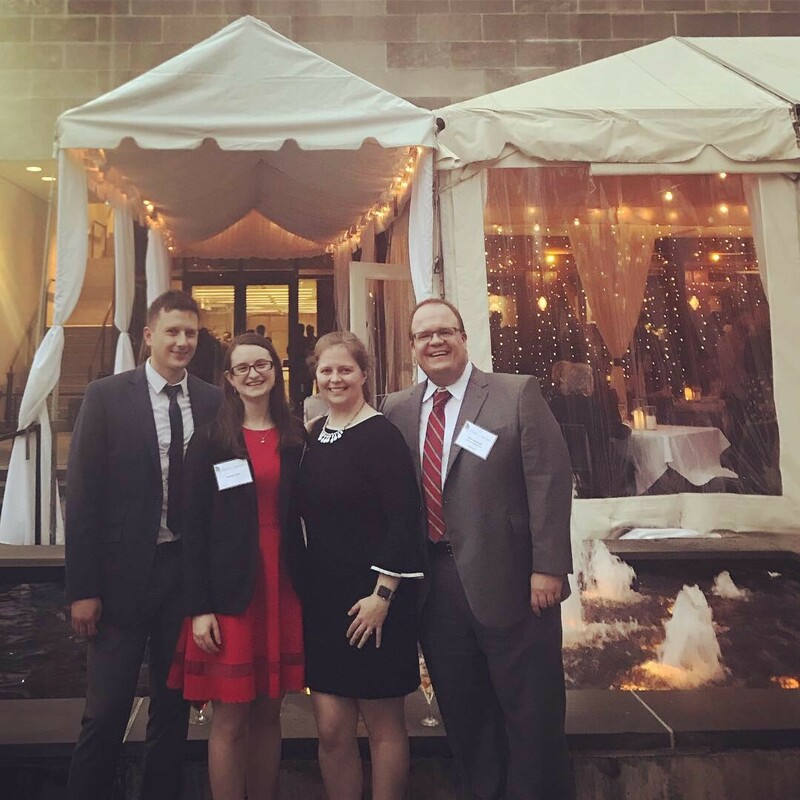 On April 12, 2019, the Maryland State Bar Association (MSBA) Young Lawyers Section (YLS) hosted its 28th Annual Charity Event at The Baltimore Museum of Art to benefit Capital Area Immigrants' Rights (CAIR) Coalition. The Firm was pleased to sponsor this event and have several lawyers attend, including Andrew Wichmann, Lauren Lake (co-chair of the MSBA YLS Activities Committee which plans and hosts the Annual Charity Event), Alex Montanio and Bob Gaumont (pictured here from left to right). CAIR Coalition fights for equal justice for all immigrants at risk of detention & deportation in the D.C. area and beyond. In April 2019, our attorneys and staff donated 11 boxes of clothing, 9 full suits, 55 shirts and 12 jackets to the Harambee Center, Dress for Success and Sharp Dressed Man. 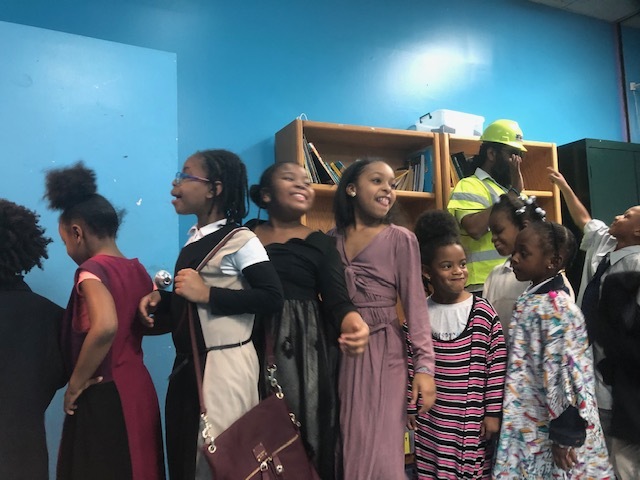 On April 10, 2019, Lauren Lake, an associate who helped coordinate the clothing drive, educated children at the Harambee Center about her job as an attorney and how to dress professionally. The Harambee Center is open year-round providing a supportive, safe environment where students can receive tutoring, trauma-informed programming, and exposure to arts and cultural enrichments. 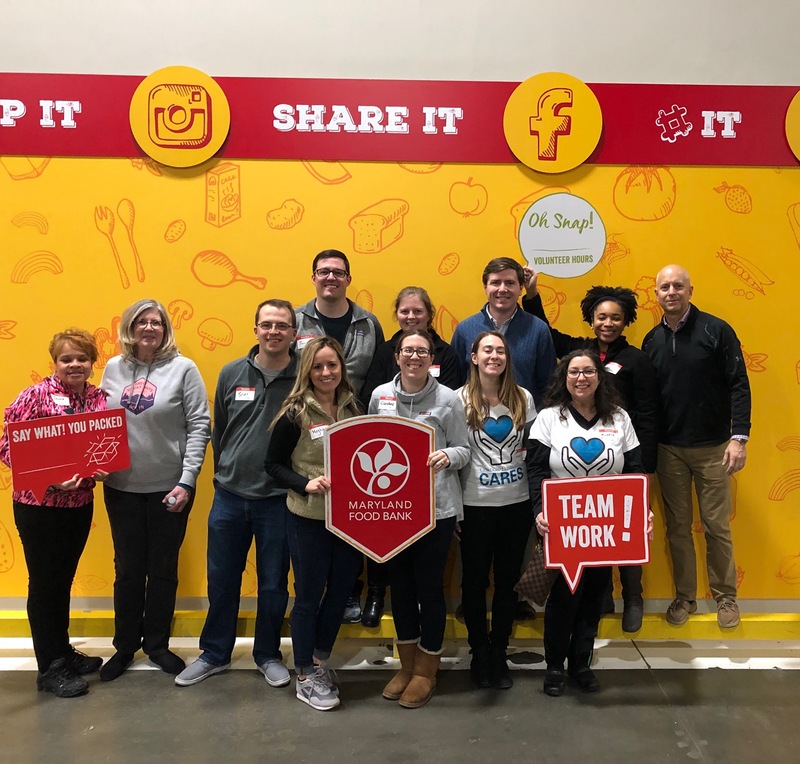 On January 23, 2019, a group of Gordon Feinblatt attorneys and staff, including Donna Ferguson, Mary Jo Ford, Bryan Mull, James Handley, Meghan Young, Alex Montanio, Caroline Sweet, Chris Magette, Kristin Ferraro, Michele Walsh, Chastity Threadcraft and Chris Rahl, helped sort and package 390 food kits at Maryland Food Bank. Each day, Maryland Food Bank distributes more than 112,000 meals to local shelters, food pantries, faith-based organizations and schools. 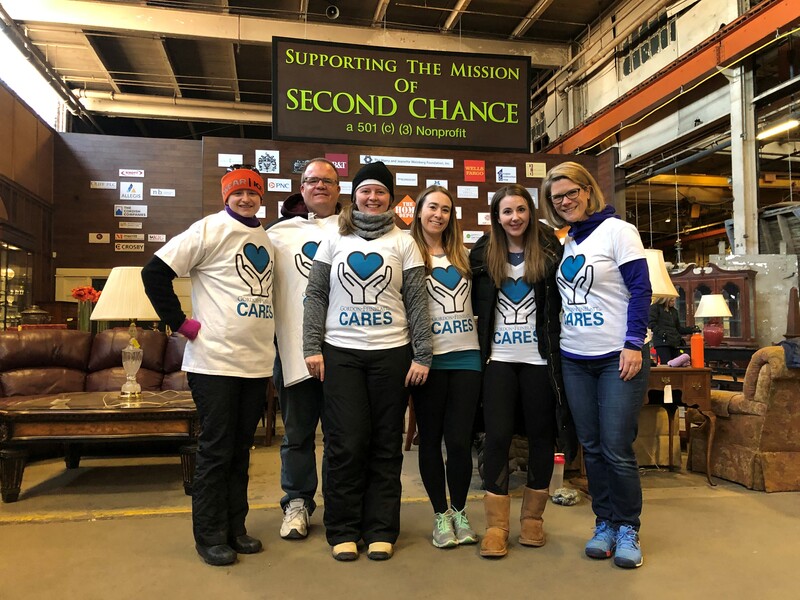 In honor of Martin Luther King, Jr. Day, a group of Gordon Feinblatt attorneys and staff, including (from left to right) Lauren Lake, Bob Gaumont, Alex Montanio, Kristin Ferraro, Ashley Rosenblatt and Danielle Zoller, participated in a day of service at Second Chance on January 21, 2019. Second Chance provides people, materials and the environment with a second chance. They deconstruct buildings and homes, salvage usable materials and make those available to the public. With the revenue generated, Second Chance provides job training and workforce development for those with employment obstacles in the Baltimore region. Our attorneys and staff donated 184 toys for the United Way of Central Maryland Holiday Pop-Up Market on December 8, 2018. The Holiday Pop-Up Market is a one-stop winter wonderland for families in need where they can choose free gifts for family members, get healthy food and personal items, and make use of resources including health screenings, tax preparation, flu shots and job recruitment. 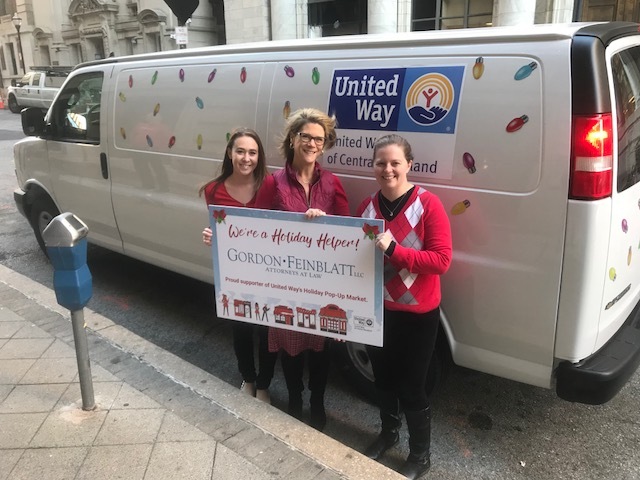 Kristin Ferraro, Danielle Zoller and Alex Montanio (pictured from left to right), along with others on the Firm's Community Engagement Committee, helped organize the Toy Drive and are featured in this video about the Holiday Pop-Up Market. 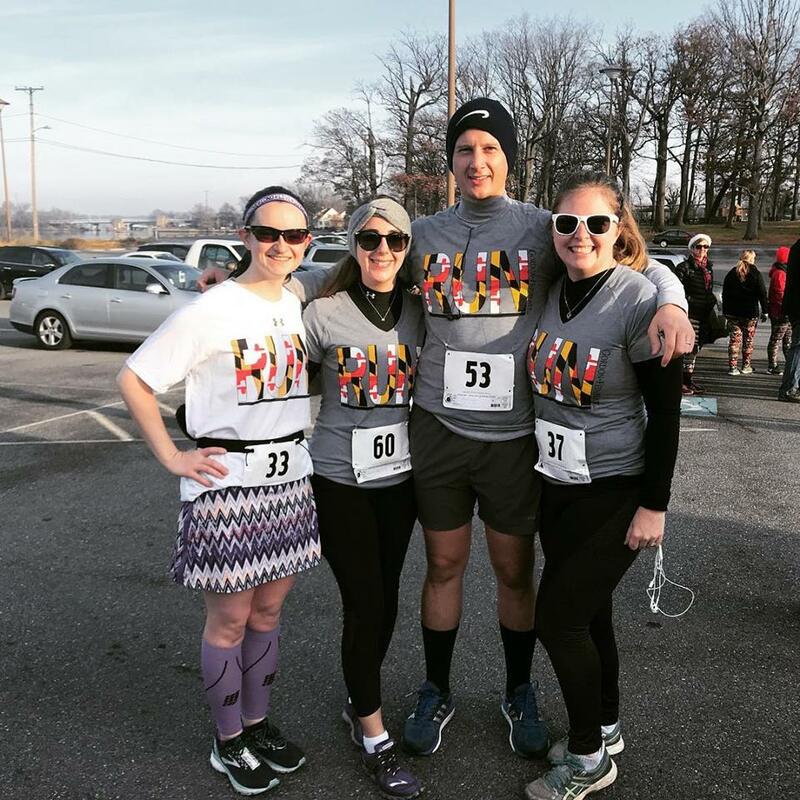 On December 1, 2018, Lauren Lake, Ashley Rosenblatt, Andrew Wichmann and Alex Montanio participated in a 5K run to benefit Santa Claus Anonymous. Santa Claus Anonymous provides anonymous assistance in the form of gift certificates redeemable at local merchants in the Baltimore area to aid families in the purchase of toys, clothing, or books for holiday presents to bring Christmas to over 30,000 children every year. 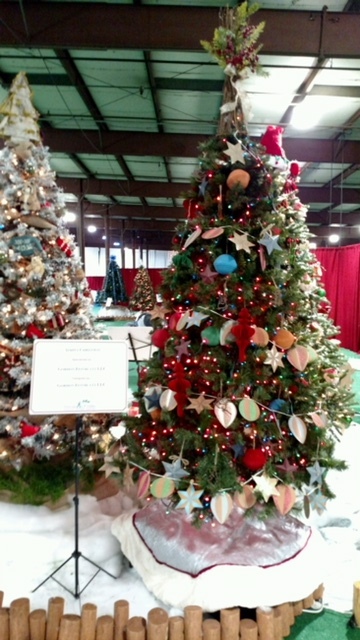 The Firm is an annual sponsor of the Kennedy Krieger Festival of Trees to raise funds for children with disabilities and their families. Each year, a group from the Firm works together to create an annual theme, shop for supplies, and decorate the Gordon Feinblatt tree, including this silver bells themed tree by members of our Real Estate Team for the November 2018 Festival. The Festival continues to increase awareness of the Institute’s work by creating a spectacular event for the greater Baltimore community to enjoy. On November 12, 2018, the Firm hosted a USO Pack 4 Troops service project in honor of Veteran's Day and the 100th anniversary of the end of WWI. 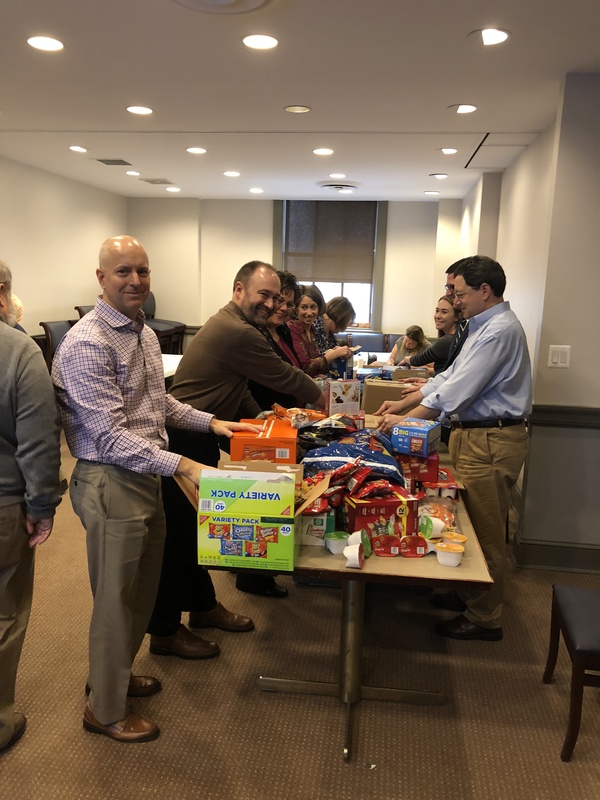 Attorneys and staff donated snacks and supplies, wrote notes of gratitude and encouragement, and worked together to assemble 113 care packages, which the USO will distribute to local service members. The USO strengthens America’s military service members by keeping them connected to family, home and country, throughout their service to the nation. 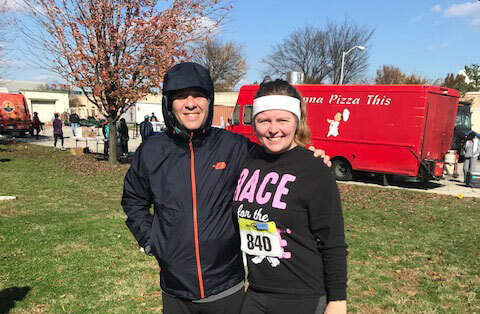 On November 10, 2018, Ken Aneckstein and Alex Montanio participated in the Paul's Place Huff & Puff 5K. Paul’s Place provides programs, services, and support that strengthen individuals and families, fostering hope, personal dignity and growth in the Washington Village/Pigtown neighborbood and the surrounding Southwest Baltimore communities. 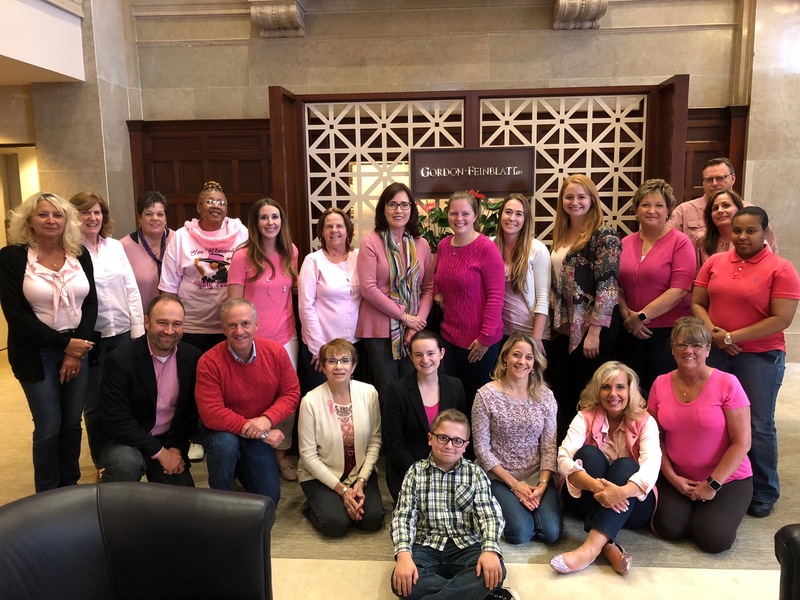 In support of Breast Cancer Awareness Month, Gordon Feinblatt attorneys and staff participated in a "Wear Pink and Jeans Day" on October 19, 2018. The Firm raised money and showed its support for the Susan G. Komen Foundation. The Susan G. Komen Foundation helps to save lives by ensuring that all people receive the care they need and works to find breakthroughs to prevent and cure breast cancer. 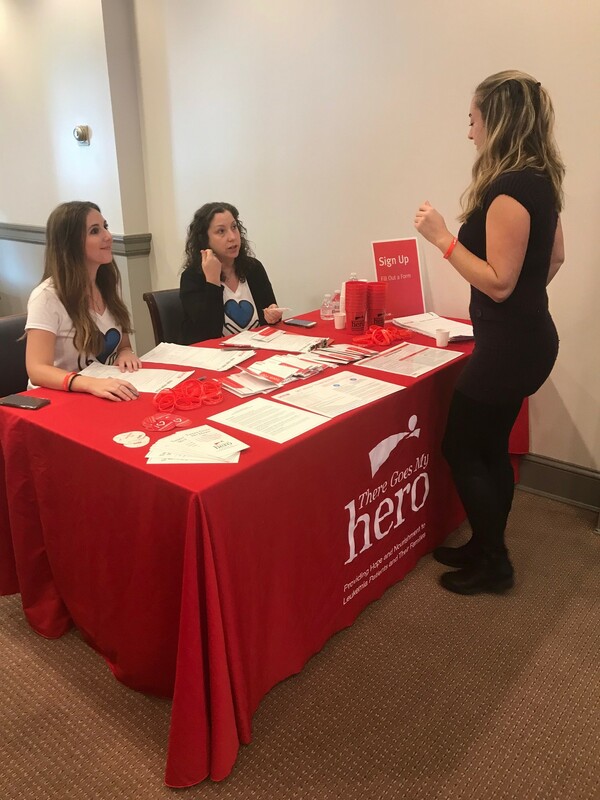 On October 12, 2018, the Firm hosted a swabbing event for There Goes My Hero (TGMH). All personnel were invited to join the DKMS bone marrow registry or make a monetary contribution to TGMH. TGMH is a local non-profit that aims to increase registered bone marrow donors and provide nutritious meals to blood cancer patients undergoing treatment and their families. Michele Walsh, pictured here (center) along with Ashley Rosenblatt (left) and Gina D'Angelo (right), serves as President of the Board of TGMH and is a cancer survivor. On October 6, 2018, a group of volunteers from Gordon Feinblatt and the UMD and UB Chapters of the Black Law Student Association participated in the Civic Works Ricky Myers Day of Service. The Day of Service brought together hundreds of volunteers to work on a variety of projects from painting schools to creating community gardens and cleaning up parks. Among those pictured include Chris McMahan, Lauren Lake, Alex Montanio, Bob Gaumont and Donna Ferguson. 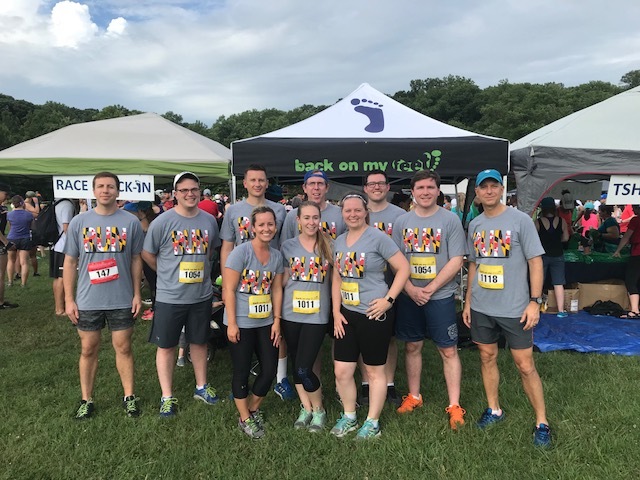 On Friday, August 3, 2018, a group of attorneys and staff, including Chase Tweel, Bryan Mull, Andrew Wichmann, Chris McMahan, James Handley, Chris Magette, Chris Rahl, Meghan Young, Kristin Ferraro and Alex Montanio, participated in the AT&T Sneaks Come Out at Night run to support Back on My Feet Baltimore. Back on My Feet is a national organization operating in 12 major cities coast to coast to combat homelessness through the power of running, community support and essential employment and housing resources. In June of 2018, the Firm hosted a book drive to benefit the Maryland Book Bank. Over two weeks, Firm personnel donated more than 772 books. Caroline Sweet led the drive. The Book Bank has provided over 1.8 million books to children, teachers, schools and other organizations saving those who received the books over $14 million and providing vital educational resources to those in need. 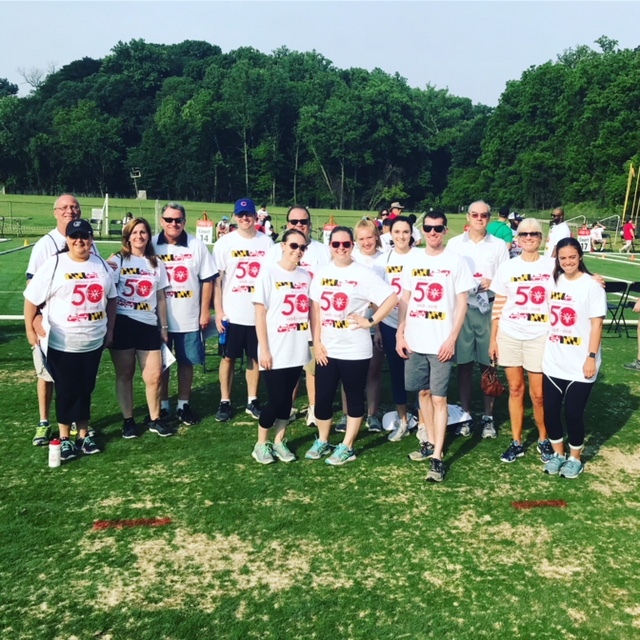 On Saturday, June 9, 2018, a group of Gordon Feinblatt attorneys, staff and family members volunteered at the Special Olympics Maryland 2018 Summer Games. Through sports, Special Olympics strives to create a world where opportunity is not limited by disability. 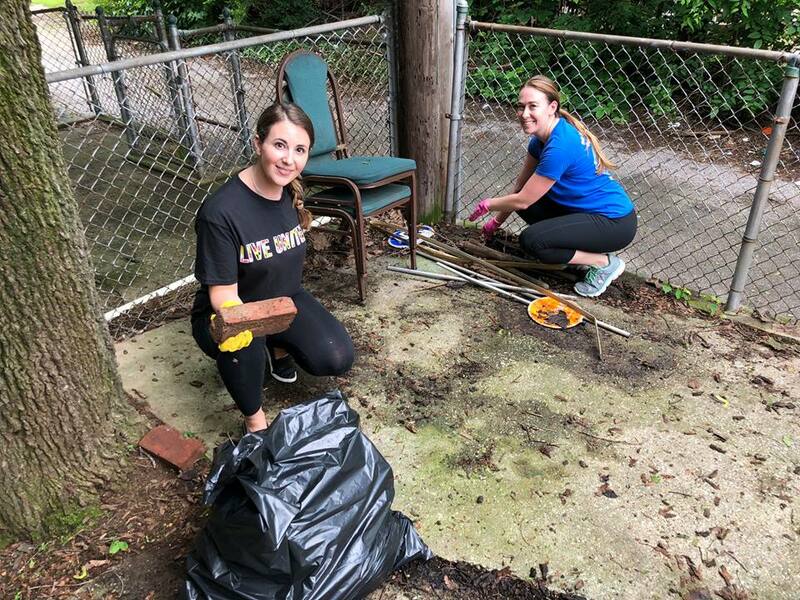 City of Refuge Baltimore, Inc.
On Saturday, June 2, 2018, Ashley Rosenblatt (left) and Kristin Ferraro (right) volunteered at City of Refuge Baltimore (formerly Baltimore Dream Center). City of Refuge Baltimore hosts a variety of programs in five key impact areas, health & wellness, housing, human trafficking, vocational training and youth development, to support our community, regardless of color, class or circumstance. On January 26, 2018, a group of Gordon Feinblatt attorneys, including (from left to right) Chastity Threadcraft, Chase Tweel, Caroline Sweet, Christopher Rahl and James Handley) volunteered for lunch service at Our Daily Bread. Each day, Our Daily Bread provides a hot meal to more than 700 hungry people in Baltimore. The Firm is an annual sponsor of the Kennedy Krieger Festival of Trees to raise funds for children with disabilities, and their families. Each year, staff of the Firm work together to create an annual theme, shop for supplies, and decorate the Gordon Feinblatt tree, including this "Simply Christmas" themed tree for the November 2017 Festival. The Festival continues to increase awareness of the Institute’s work by creating a spectacular event for the greater Baltimore community to enjoy. On November 15 2017, the Firm launched its annual Lawyers’ Campaign Against Hunger (LCAH) fundraising campaign. The LCAH brings dedicated Maryland attorneys together to combat food insecurity in Maryland. Every dollar donated makes 2 meals available to the 1 in 7 food insecure individuals in our state. Michele Walsh (pictured front row, third from the left) serves on the Executive Committee, and Chastity Threadcraft (not pictured) is a member of the Young Lawyers Subcommittee. 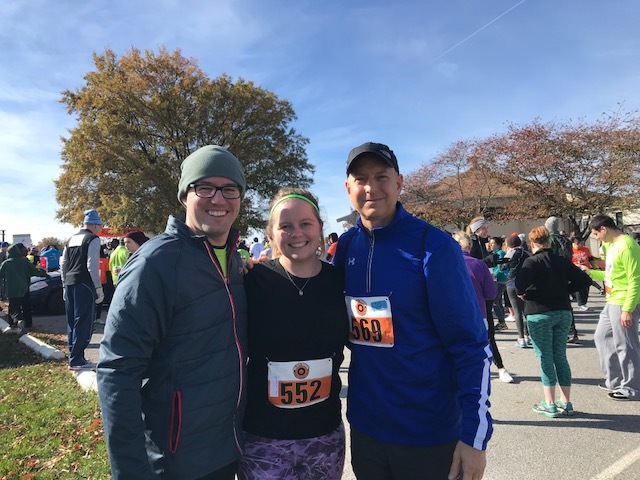 On November 11, 2017, (from left to right) James Handley, Alex Montanio and Chris Rahl participated in the Paul's Place Huff & Puff 5K. Paul’s Place provides programs, services, and support that strengthen individuals and families, fostering hope, personal dignity and growth in the Washington Village/Pigtown neighborbood and the surrounding Southwest Baltimore communities. The Gordon Feinblatt relay team for the 2017 Baltimore Running Festival on October 21, 2017, including (from left to right) Andrew Wichmann, Chase Tweel, Bryan Mull and Christopher Rahl, is proud to raise funds and awareness for Helping Up Mission. The monies raised will support Helping Up Mission's programs and services for over 400 men and 60 women breaking the grips of hopelessness, homelessness, alcohol and drug addictions. In support of Breast Cancer Awareness Month and the Firm's Race for the Cure team, Gordon Feinblatt attorneys and staff participated in Pink Friday. On October 15, 2017 the Firm's Race for the Cure team ran in the 2017 Susan G. Komen Maryland Race for the Cure. The Susan G. Komen Maryland mission is to save lives by meeting the most critical needs in our communities and investing in breakthrough research to prevent and cure breast cancer. 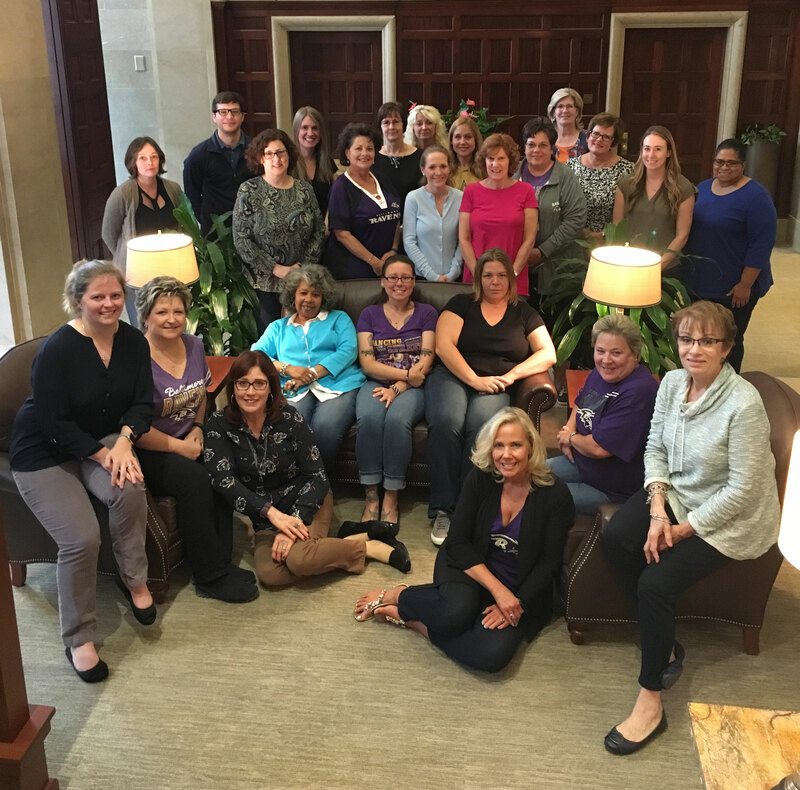 Thanks to the generosity of 59 Gordon Feinblatt employees, some of whom are pictured here, the Firm was able to raise $4,305 for the Hurricane Harvey Relief Fund in September 2017. The Relief Fund was designed to support the immediate and long term relief and reconstruction efforts aiding the families and businesses who have been devastated by Hurricane Harvey. As a thank you to our attorneys and staff for contributing, the Firm enacted a "Blue Jeans for a Cause" Friday dress code. 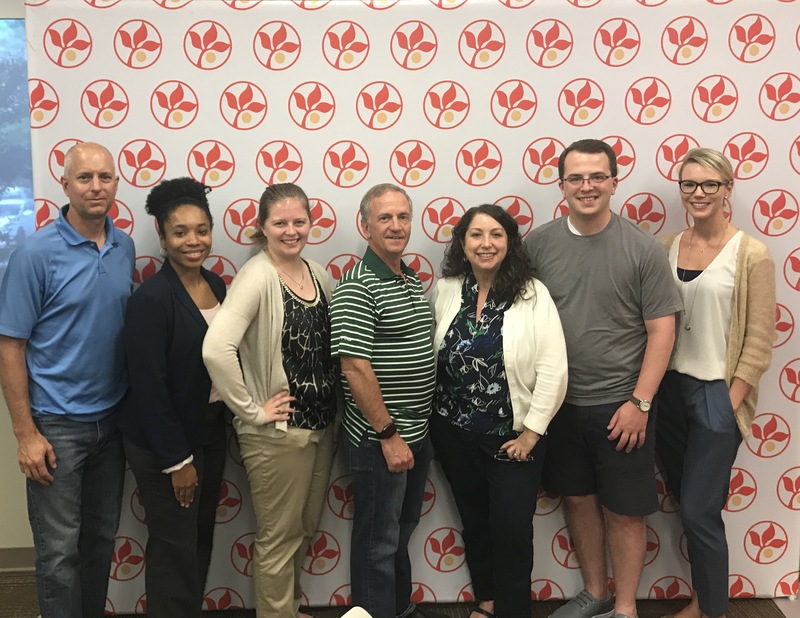 On July 12, 2017, seven Gordon Feinblatt attorneys, (from left to right) Chris Rahl, Chastity Threadcraft, Alex Montanio, Peter Rosenwald, Michele Walsh, Bryan Mull and Leslie Cumber, helped sort and package food and supplies at Maryland Food Bank. Each day, Maryland Food Bank distributes more than 112,000 meals to local shelters, food pantries, faith-based organizations and schools. On June 17, 2017, three Gordon Feinblatt associates, Alex Montanio, Brian Mull and Chase Tweel, and two assistants, Connie Horan and Phyllis Henderson, partnered with the Dundalk Renaissance Corporation (DRC) and Maryland Volunteer Lawyers Service (MVLS) to provide free expungement services for Dundalk residents. In one day, the team helped ten area residents have all parts of their criminal records expunged! 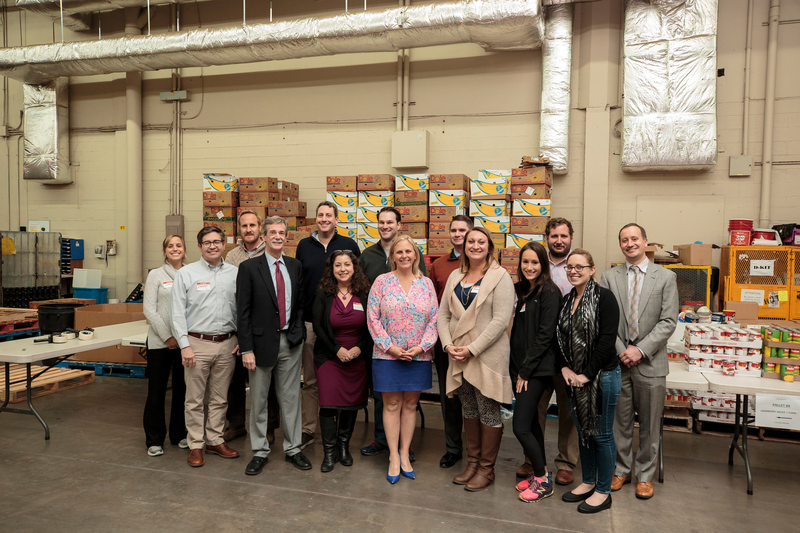 On March 6, 2017, a team of attorneys and staff, including (from left to right) Ashley Rosenblatt, Chastity Threadcraft, Chris Rahl, Richard Topaz, Michele Walsh and Leslie Cumber, volunteered for lunch service at Helping Up Mission. Helping Up Mission is a community of hope, helping men fighting addiction and homelessness get their lives back. 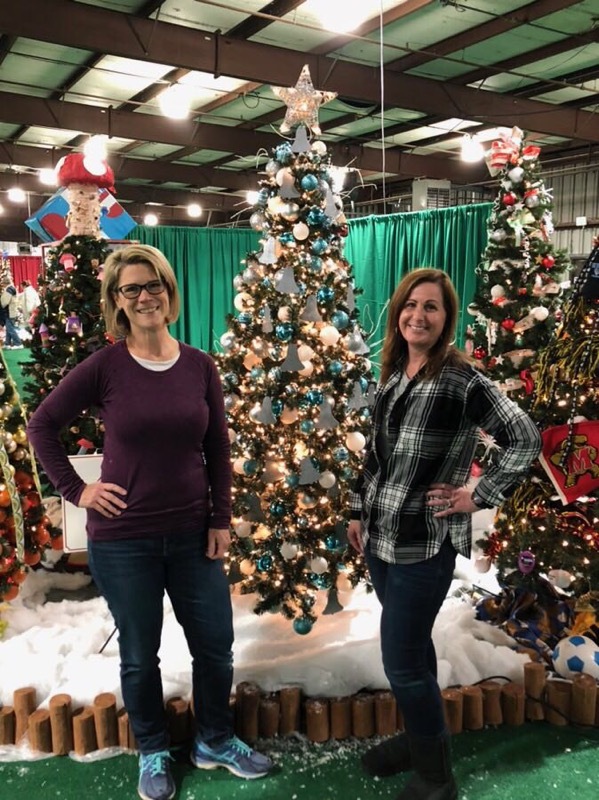 Since 2007, the Firm sponsors the annual Kennedy Krieger Festival of Trees to raise funds for children with disabilities, and their families. Each year, staff of the Firm work together to create an annual theme, shop for supplies, and decorate the Gordon Feinblatt tree, including this garden-themed tree from the 2016 Festival. The Festival continues to increase awareness of the Institute’s work by creating a spectacular event for the greater Baltimore community to enjoy. 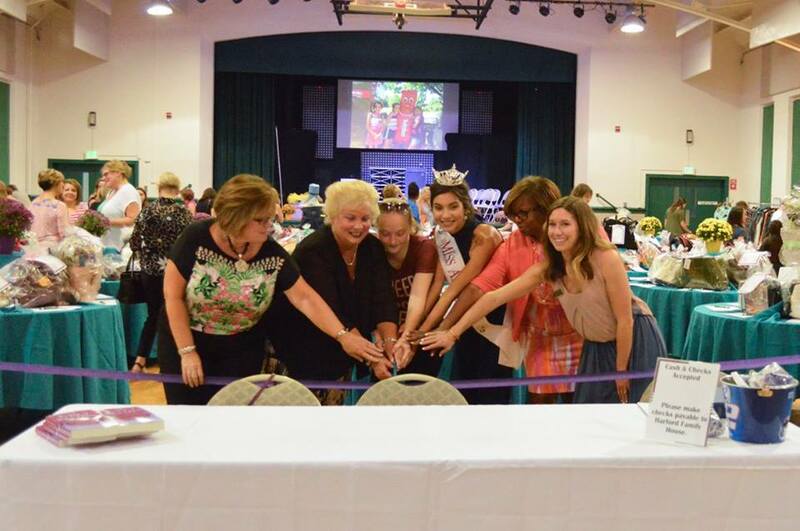 As Secretary of the Board of Directors of Harford Family House, Laura Johnson, a Member of the Firm, (pictured on the left) played an active role in the organization's 8th Annual Hope in Handbags event on November 5, 2016, which featured a silent auction and retail sale for new and gently used designer handbags. The money raised at this event helps Harford Family House provide housing & support to homeless families with children in Harford County, MD. The Firm sponsored a team of attorneys and staff for the 2016 Susan G. Komen Maryland Race for the Cure. Lisa Jacobs-Brown, Diana Hoppert, Kathy McAllister, Robyn Seabrease, Christina Franetovich (top row from left to right), Alex Montanio and Chasity Threadcraft (bottom row from left to right) participated in the race. The Susan G. Komen Maryland mission is to save lives by meeting the most critical needs in our communities and investing in breakthrough research to prevent and cure breast cancer. As Chairman of the Board of Directors of Maryland Food Bank, Peter Rosenwald, a Member of the Firm, (pictured on the right, in orange) advocates the Firm's engagement with the organization. 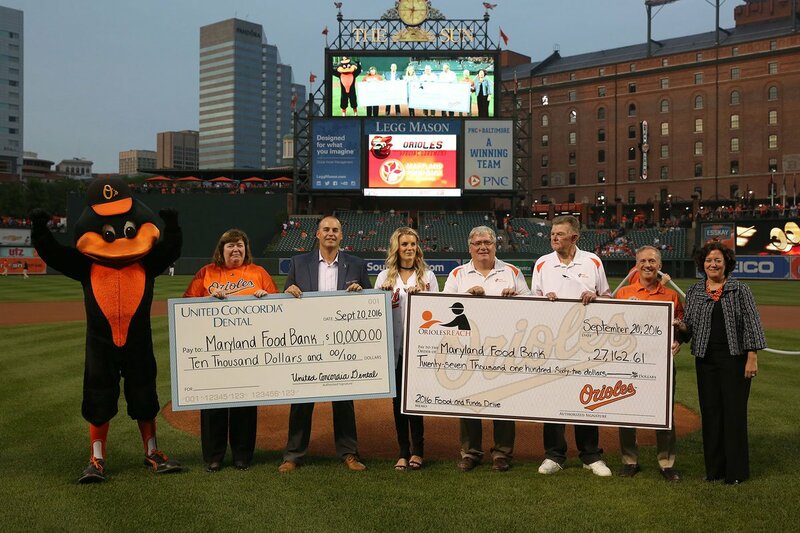 On September 20, 2016, Peter was invited on-field to receive donations from OriolesREACH and United Concordia Dental to benefit the organization. Maryland Food Bank is a nonprofit hunger-relief organization, leading the movement to end hunger in Maryland.